States that have missed the boat to formulate their respective solid waste management policies are going to have a harder payback this time. On this Friday, a bench of Justice M B Lokur and Justice S Abdul Nazeer issued a strong writer order against these states and UTS. What is there in this order? The order sets the barricade around the upcoming and on-going construction works across these states and UTS which have failed to formulate their solid waste management (SWM) under the Solid Waste Management Rules 2016. These states are not allowed to commence their construction works until they codify their SWM policies. How does it act on the states’ revenue? It seems that states have been either delaying or chose to remain unresponsive after the release of the order back in the year 2016. Now if states continue with the same limp demeanour, it will definitely bruise the revenue of the state from the real estate sector. At present, it also takes a toll on the modus operandi of the very section as well. What are the consequences that the real estate sector has to accost? Sometimes well-meaning plans can bring undesired opposite results. We have seen this in the recent past when the country had to go through a severe cash crunch post demonetization when the mean objective was to eradicate the black money circulation in the credit flow. Common people had to suffer a lot and real estate was one worst-hit sector in those days. SC has prohibited construction works in states and UT’s including Maharashtra, Madhya Pradesh, Uttarakhand, Chandigarh and Goa for their “pathetic” attitude in not framing proper policy on solid waste management without speculating the aftereffects. “People have already spared enough strolling along with the free will of developers and realtors. After RERA came into the frame, they finally gained the relief of faith that their hard-earned money won’t get lost in the whirl as they permanently received a legal platform where they can lodge the complaint against the counterfeit activities of the real estate state holders. RERA also brought up the assurance that the project deliverance would be on-time along with the quality check. The recent order of the Apex Court is challenging the regulations of RERA in a straight line,” said Mr Mahesh Somani, Chairman – National RERA Committee, National Association of Realtors, India (east zone) and Vice President of RECA Kolkata. “If the construction work gets halted somehow, how would the homebuyers get their project delivered within due time maintained under RERA rules where this time they can’t even blame the developers for the delay? 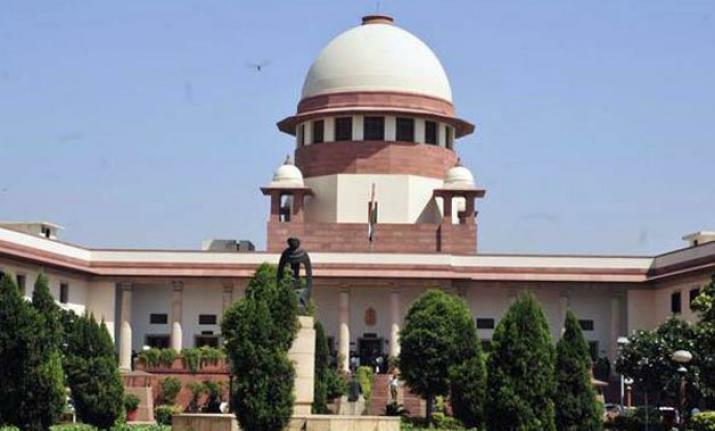 The recent speculation would further add to their troubles, where states have chosen to stand by the order of the Supreme Court on its banning on construction activities in the states unless any solid waste management policy has been settled. This move of the states would certainly take a dig on the shield of buyer protection ACT RERA and buyers will be highly in doubt about the actual functionality of the ACT,”- added Mr Somani. Of course, sanitization is crucial; states should definitely come up with a proper policy of the same. Meanwhile, banning of construction works happens to be a dry run for the effectiveness of the RERA regime. Let’s see how the states RERA Authorities deal with the situation. Are you willing to buy flats in Kolkata? Or you are a suburb-lover when it comes to buying your own home? ‘Buying home’ symbolizes a sense of pride and security for every homebuyer. But while buying flats in Kolkata or in any other districts, in West Bengal especially these days, you need to be an extra alert. 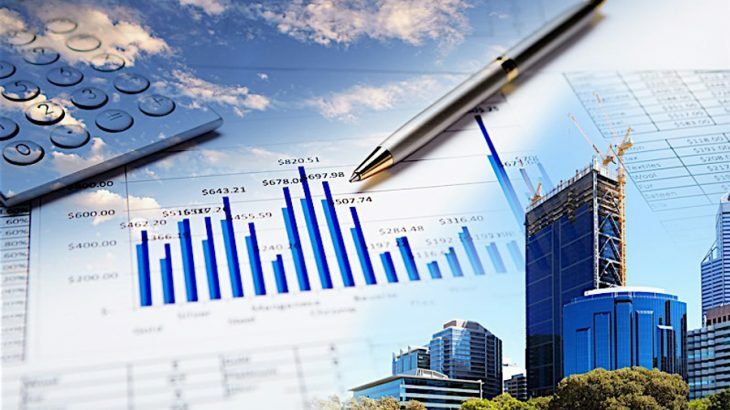 A series of legal amendments have happened in the real estate sector of West Bengal in recent times and being a home-buyer or an investor you need to have a close track of the market updates when buying properties are on the cards. We tell you, investing in a real estate project without having knowledge about the real estate act and the co-laterals, happening in and around the state can dent your savings. Shocked? Skipping this article can make you lose a few lakhs. Can you afford? Amidst the central state squabble around state’s tweaking attitude with the name and the key facets of the central act Real Estate (Regulation and Development) Act, 2016 finally the portal of WBHIRA has set to go. West Bengal Housing Industry Regulation Authority (WBHIRA) has at last launched its official RERA registration portal: www.hira.wb.gov.in; which means developers and real estate agents can no longer take homebuyers on a ride in name of project legitimacy and its deliverance. Abiding by the rules every on-going realty project, whether it is in the capital or suburb has to be registered with the state RERA authority. For real estate projects – One can register real estate projects as per Section-3 of West Bengal Housing Industry 2017, read with West Bengal Housing Industry Regulation Rules 2018. For real estate agents – An agent has to register him/herself as per Section 9 of West Bengal Housing Industry 2017, read with West Bengal Housing Industry Regulation Rules 2018. Registrations for both projects and agents have already started and under the purview of RERA projects and agents without their respective registration numbers would be subject to desertion. Now, this is indeed great news from the homebuyers’ standpoint; but the registration is somehow pinching real estate stakeholders a bit hard. For an individual registration, it will cost a person Rs. 25,000. Other than individual the registration fee is Rs. 2, 50, 000. The charge for the registration is so far higher than that of the rest of the states and UTs where the Act is there in the picture. “Real estate is one sector that has been the worst blamed for the counterfeiting activities by its stakeholders at large. Even it’s really late, but the state has started the registration process which will mandate the registration of the realty stakeholders and safeguard the rights of the homebuyers in amalgam. 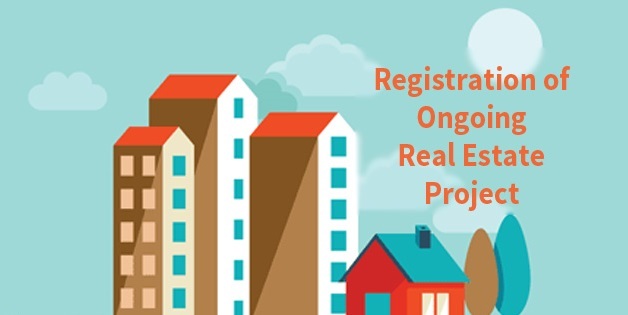 Again, the charge for the registration is pretty high for them which they will end up passing on to the homebuyers at the end,”- said Mr. Mahesh Somani, Chairman: National RERA Committee, National Association of Realtors (NAR), India and Vice President: Realtors & Estate Consultants’ Association of Kolkata, (RECA Kolkata). However, the successful implementation of WBHIRA is still in question as the act has curbed two of the key provisions of the central Act on which the union government has not given a nod. By far, the central government repealed Section 92 of the Maharashtra Housing Act 2012 and the same has been followed by the Kerala government. Now all the eyes are upon the central advisory council, (constituted under Section 42 of central RERA) how it fixes the applicability of HIRA/RERA in accordance with the consensus of both the governments. Starting from its inception, till its deviation from the central real estate Act, the Housing & Industrial Regulation Act, 2017 (HIRA) of West Bengal state government, has been creating a big-time buzz in the Kolkata property market. People, willing to buy flats in Kolkata has been set from side to side by the institutional call and its potential impact on Kolkata real estate. Now, it seems like the state Act didn’t go well with the pan-Indian homebuyers’ representative body FPCE. The Association is up against the redundancy and it seeks central government’s arbitration in this entire event. It’s worth mentioning that FPCE has been representing the homebuyers in all ongoing RERA related cases in Bombay High Court. As per the latest reports, the forum for People’s Collective Efforts (FPCE), a non-profit company representing homebuyers, that had put all its effort to shift the gear for Real Estate (Regulation & Development) Act, 2016, (RERA) implementation, has asked for the intervention of PM and the President of India in sidestepping the central real estate Act and creating state-level legislation Housing & Industrial Regulation Act, 2017 (HIRA) by the West Bengal state government in particular. It’s no secret that Indian real estate market had to undergo a series of reconstructive institutional decisions in the past couple of years and still the shadow of which is very much in the scene in all kinds of parts and parcels in realty transactions. Meanwhile, this is supposed to another cusp from both the structural and investors’ standpoint. However, in its official letter, the homebuyers’ body clearly requested the President not to give a go to the Bengal government for a separate state-level realty regime. FPCE has made a clear point that no other states than West Bengal have brought forth a separate state-level legislation which will somehow belittle the importance and spirit of the central law. “The constant change in institutional decisions and the volume of opposition they are receiving from different authoritative organizations are up-against the investment sentiment in a big time now which is not a positive sign for the Kolkata real estate market. If the market is going to continue with its existing wait and watch mode; it might also weaken the sales volume in the coming days and also push back the active rollout of RERA in the district,”- said Mr. Mahesh Somani, the Chairman of National RERA Committee and head of eastern zone National Association of Realtors (NAR-India). Currently, the central government is examining the likelihood and prospect of two individual (state and central) existence on the same subject for the regulation of the real estate sector. After being notified back in 2017, the central real estate Act mandated all the states to notify their respective Acts, before the presence of the state regulatory authority (RA) with the due time and this was the set rule for every other state apart from J&K. In a previous Central Advisory Council meeting, a sub-committee was formed by the government with the objective of urge the Bengal government to adopt RERA, including the supervision of the implementation of RERA across other states; FPCE now wants this sub-committee to notify their report regarding this matter. Reportedly, FPCE has suggested revoking the West Bengal HIRA from implementation and asked for one central RERA across the country. Members of the homebuyers’ body also had a meeting with Congress President Rahul Gandhi where they requested Gandhi to raise the concern and to initiate conversation with the Mamata Banerjee Government. Meanwhile, the state Act has been accused of diluting a couple of the key clauses of the central Act- the definition of force majeure clause and the garage. Where the central Act says that the force majeure clause can be brought into play only in case of war, drought, floods, earthquake, fire or any other natural calamity affecting the regular development of real estate projects; HIRA comes with another version where it says that apart from the mentioned conditions under RERA, force majeure clause can be declared for any other circumstance prescribed. On the garage part, RERA has defined garage as a place within a project that has a roof and walls on three sides for parking any vehicle, but it does not include unenclosed or uncovered parking area. HIRA, on the other hand, defines a garage as an open space sanctioned by the housing society or the competent authority. States that have notified the Act and formed the authority have started passing orders. States like Kerala and Telangana have notified their state rules under RERA, but have not set up an authority. Author Liyans.comPosted on July 21, 2018 Categories flats in kolkata, Kolkata Real Estate, regulationsLeave a comment on Homebuyers’ Body FPCE Beats the Bushes for President’s and PM’s Mediation for RERA Reiteration by WB Government. A group of real estate developers of Maharashtra recently moved the Bombay High Court against the Goods and Services Tax (GST) Council, central, and the state government of Maharashtra of late. As per the latest industry reports, the prime reason behind dragging the central, state government, and the GST council is the applicability of GST on mere transfer of land development rights by the owner to a realty developer. To be more specific, real estate developers challenged a recent notification which made the transfer of development rights from the land owner to the developers taxable under the revised tax regime. In a notification published in January 2018, GST council mandated that if any construction work falls under the Joint Development Agreement (JDA) category, wherein a landowner transfers the land to a developer and gets apartment, a certain amount of revenue or a combination of both in return; GST would be levied on both the land owner and the real estate developer. “In the past, such transactions were exempt from the tax system. Now, that the revised tax regime has been already in force, any real estate transaction under JDA will come under GST ambit and it will seek tax payment from both of the consignees, where the entire land transaction has already been kept out of the GST purview; thus situation is a bit tricky here,”- said Mr. Mahesh Somani, Chairman – National RERA Committee, National Association of Realtors, India (NAR-India). Starting from the advanced lawsuit, till the unified tax regime – nothing is going in favour of real estate developers. Tax experts consider that with this new notification of GST, it will add to the cost pressure on realty developers even bigger; as such transactions would get slower and complex credit generating process under GST. Again, for this taxability, the acquisition of land will turn to a complex process for the developers as it won’t be easy to settle the consideration with the land owners abiding the new rule. On the other hand, the government claimed that in most of the cases, real estate developers give apartments to the land owners after the completion of the project which is nothing but consideration for the transfer of the project rights; therefore it shouldn’t be free from the GST purview. However, the Bombay High Court issued notice to the Union Government of India, state of Maharashtra and GST Council and the next date of hearing is decided on July 9, 2018. According to the industry experts, GST council has come to this conclusion, considering the rising trend of joint venture agreement between land owners and the developers as these ventures don’t fit in the outright land deal kind. While developers are game for JD ventures for their ease-of-investment business strategy, land owners are up for higher return on investment (ROI) prospect than just one time consideration. Want to buy a home in your early thirties? Are you looking for compact apartments in a metro city? The industry experts suggest that investing in mid-budget flats in Kolkata can lead you to the throne. Research indicates that 80% of the young homebuyers consider property portals (esp video contents) while choosing an apartment. But there are other prime facts too which can return the maximum on your investment. One essential fact would be keeping yourself updated with the latest governmental announcements related to the residential realty segment. Keeping a close track on the institutional declarations is a pivotal fact to be considered while buying your home. If you miss out any, you could end up paying higher than the actual price. Reportedly, the booking of mid-budget flats in Kolkata has increased over 20%-25% during the last fiscal. Want to know why? Read on: In its recent announcement central government has allotted Credit Linked Subsidy System (CLSS) to the Middle-Income Group housing category coupled with an increased Floor Area Ratio (FAR). It means middle-income group affordable housing (both MIG-I & MIG-II categories) are now eligible to claim the CLSS benefit provided by MIG-I category should have a carpet area of 160 sq meter or 1,722 sq ft and for MIG- II category it is 200 sq meter or 2,153 sq ft under the Pradhan Mantri Awas Yojana (PMAY-U) Urban. The CLSS for MIG scheme started gaining impetus in the last couple of quarters and the growth is indeed noticeable. Since the affordable housing sector has turned out to be the newest sales outpouring source for the real estate sector in India, the Ministry of Housing & Urban Affairs (MHUPA) is absolutely leaving no stones unturned in order to give it a further boost. It’s an open secret that the word ‘affordability’ varies from state-to-state based on several parameters such as- availability of land, socio-economic structure, cost of living, potential growth factors and lots more. Buying flats in Kolkata meet all these said parameters successfully. And the best part is most of the top-level housing development of these days fit into the said CLSS beneficiary with ease. Previously, there was an increment of carpet area for both MIG categories. It took the sales of affordable homes higher across the metros by 15%-17%. Now under the revised rules, homebuyers with annual household income from Rs 6 lakh to Rs 12 lakh would be eligible for MIG I category, while MIG II for income needs to be above Rs 12 lakh up to Rs 18 lakh. Interest Subsidy for MIG I and II will be 4% and 3%, correspondingly for maximum loan tenure of 20 years. The adequate home loan amount for interest subsidy will be Rs 9 lakh and 12 lakh for MIG I and MIG II category, in that order. Loan quantum above this limit will be at non-subsidized rates. In its recent release the ministry has declared that as on 11.06.2018, an amount of Rs.736.79 crore has been disbursed to 35,204 beneficiaries belonging to the MIG categories. The range of the CLSS e was expanded to MIG category with the approval of the cabinet In February 2017. The scheme got its approval for implementation in the year 2017 has been stretched up to March 2019. The recent home loan revision decision of Reserve Bank of India (RBI) foreshadowed the revised CLSS announcement by the housing ministry. As per the revised home loan structure of RBI, the housing loan limits for PSL eligibility from existing Rs 28 lakh to Rs 35 lakh in metropolitan centres (with population of 10 lakh and beyond), and from existing Rs 20 lakh to Rs 25 lakh in other centres, provided the by and large cost of the housing unit in the metropolitan centre and at other centres do not surpass Rs 45 lakh and Rs 30 lakh, respectively. “Government’s decision to increase the carpet area further will expedite the construction part of affordable housing sector along with a close quality check. Since most of the mid-budget flats in Kolkata fall under the CLSS benefit scheme, the overall sales are expected to get a sizable augment in the coming years or so,”- says Mr. Mahesh Somani, Chairman- National RERA Committee, National Association of Realtors, India. The increased construction activity in residential segment is about to reflect on the demand and supply chain of the core segments like- cement, steel, equipment and the other related segments. There will be a wider open horizon for the skilled and unskilled workers with the growing housing construction process across the urban areas of the country. This is like a digging gold mine opportunity for the MIG flat buyers. People who have been in search of mid-budget flats in Kolkata, this should be the perfect time to plunge in.